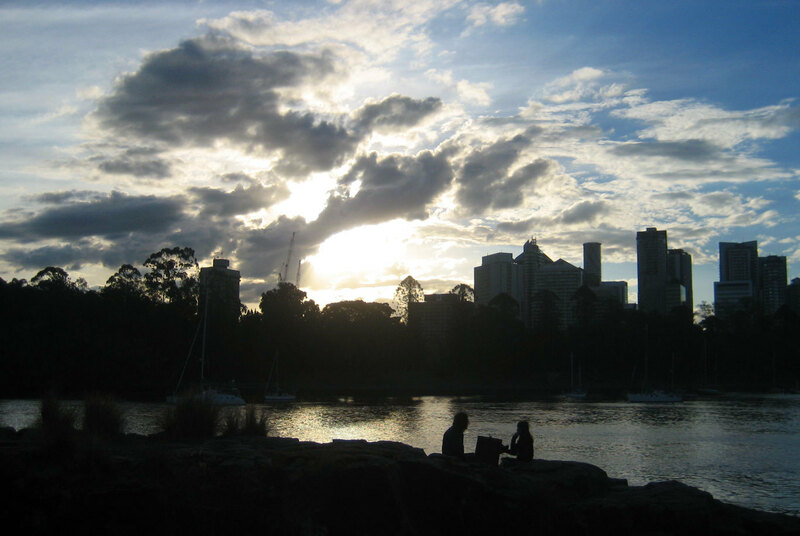 Brisbanites love the outdoors and luckily for us there are many great outdoor locations to enjoy. 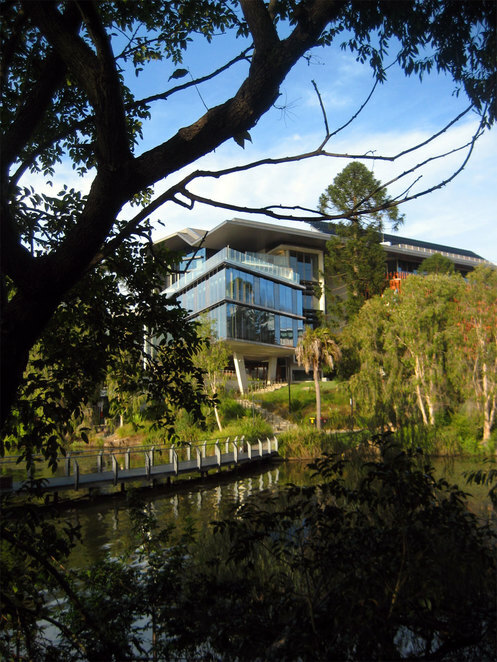 These include parks, bushland areas, wetlands and, of course, riverfront locations. This is a list of 5 of the best outdoor locations to enjoy in and around Brisbane. Most can be enjoyed by the casual visitor and some have activities suitable for the more adventurous. 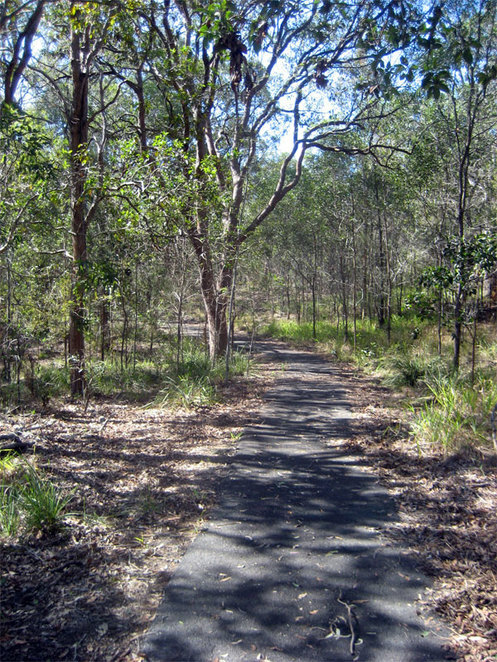 Brisbane's bushland reserves are both many and varied. 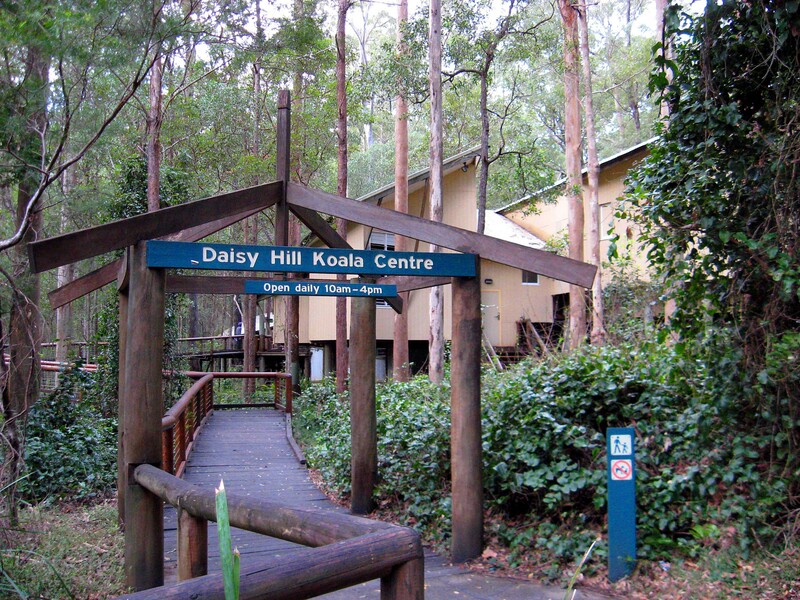 There are a number of little pockets you can visit to enjoy nature, but Daisy Hill Conservation park is one of the best for a number of reasons. The highlights for the casual visitor are the barbecue areas, easy walking tracks and the little Koala zoo. Most weekends the picnic attract many visitors, though there is plenty of room to spread out and do activities. For the more adventurous, there are numerous paths to walk and cycle. 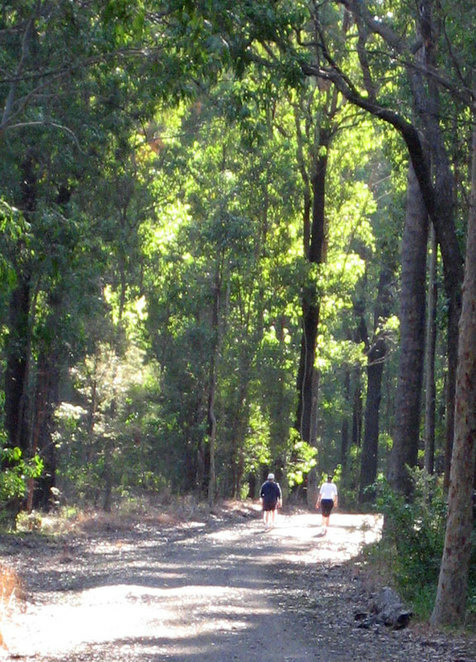 There is a 9 km multi-use circuit running around the bushland reserve and a number of dedicated walking and mountain trails that you can explore. It is also a popular horse riding location. One of the highlights is the numerous wildlife in the reserve. Though it is best to visit early in the morning or just before sunset if you want to do see koalas and wallabies on the move. 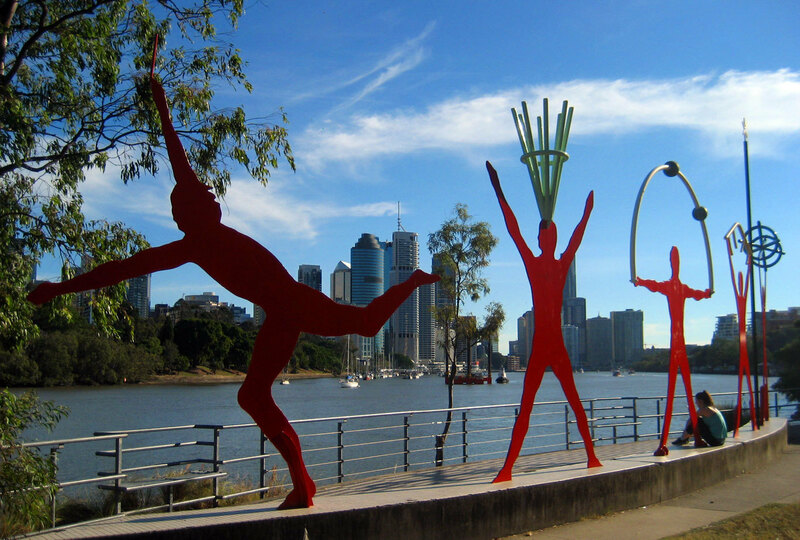 Brisbane is not exactly known as the home of adventure, but Kangaroo point is the focal point for a whole range of different outdoor activities. For the meek, it can be a nice place for a stroll, either up on the cliffs or down along the river, admiring the city view and the various artworks. Alternatively you could climb up or abseil down those cliffs. Climbing up is pretty difficult. There cliffs have a fair number of hand holds, but most ascents have some difficult patches. On the other hand, going down is easy, and worth a try if you don't have too much of a fear of heights. 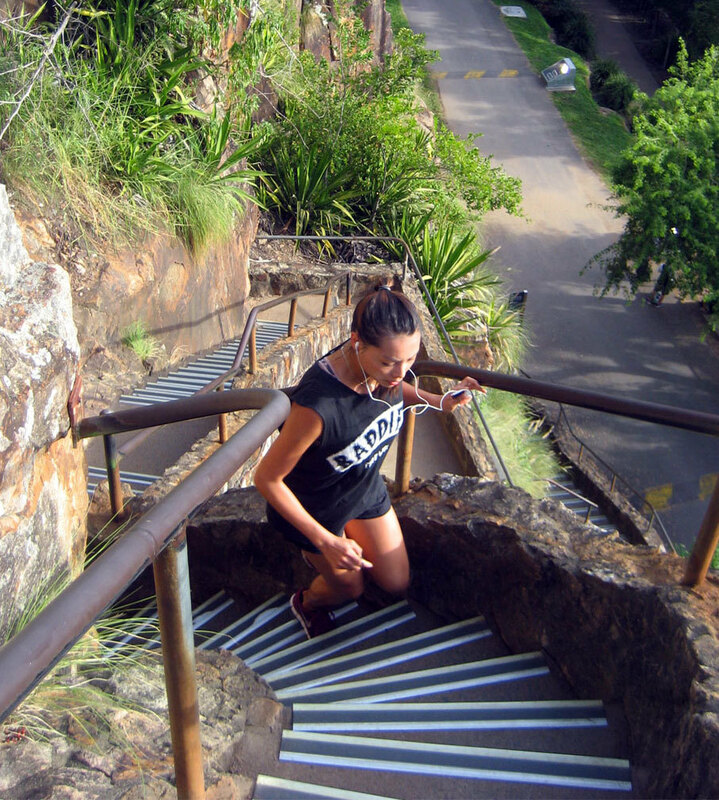 There are other adventures to be had at Kangaroo point cliffs. 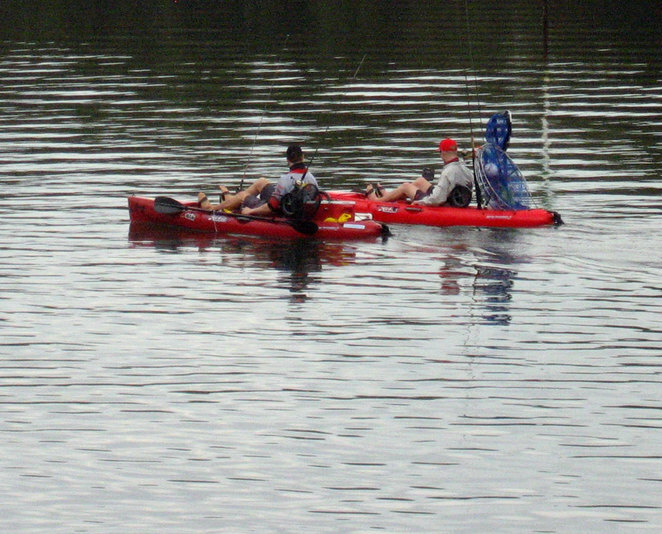 One that is on many people's bucket lists is kayaking the river. 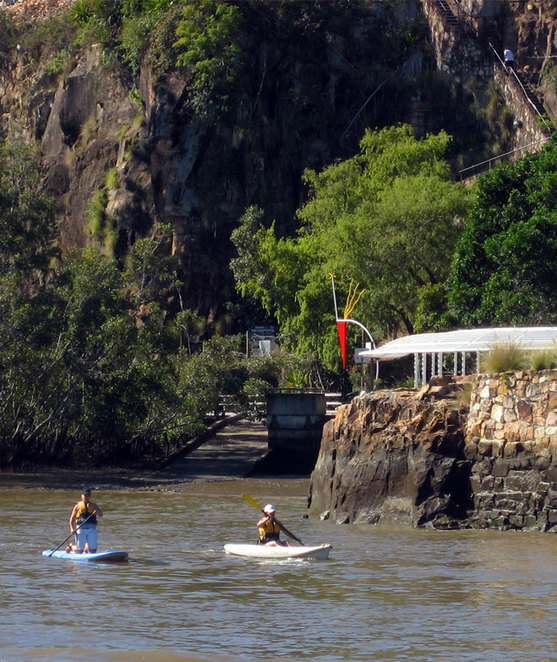 Riverlife hires kayaks and standup paddle boards, and also offers day and night kayaking tours. Of course you can just join many locals, especially early in the morning, to run, cycling or walk the area as part of an exercise routine. The park at the top of the stairs is popular for exercise groups doing a range of boot camps and circuits. Let's face it, Brisbane was built on a swamp. 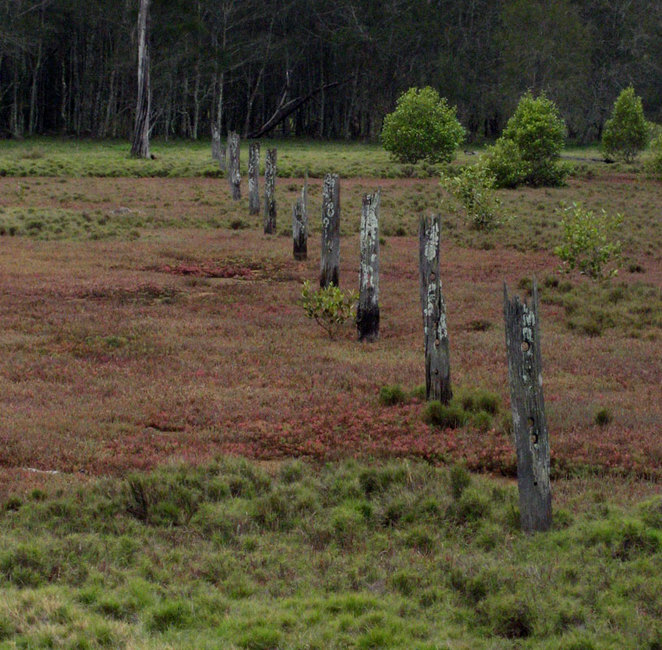 Or more accurately , it was built just inland from coastal wetlands. Wetland areas are an essential part of the migratory bird habitat and also part of the breeding cycle for many fish species. Thankfully Queensland has put a lot of effort into preserving wetland areas in and around Brisbane. While the Boondall Wetlands is the best known I don't think it is the best wetlands. My favourite wetland area is Tinchi Tamba 19 km north of the Brisbane CBD on the Pine River. Facilities include picnic and barbecue area, a fishing platform, boat ramp, boardwalk and bird hide. There are also other trails to walk around if you don't mind getting your shoes muddy. This is a great bird watching area, especially during the summer months when migratory birds fly down from the northern hemisphere. Also keep an eye out for the numerous kangaroos in the area. There are 2 main walking trails. One is a boardwalk that goes out to a tidal island. The other is less interesting but takes you to a bird hide. The best time to visit the boardwalk is during high tide and the bird hide is during low tide. However the area is quite large and it is easy to just follow the various trails around the area looking for birds and other wildlife. You don't really have to worry about becoming lost as it is mostly open bushland and it is bordered by water on 3 sides with a path on the remain side. Certainly it is a fun place to explore. 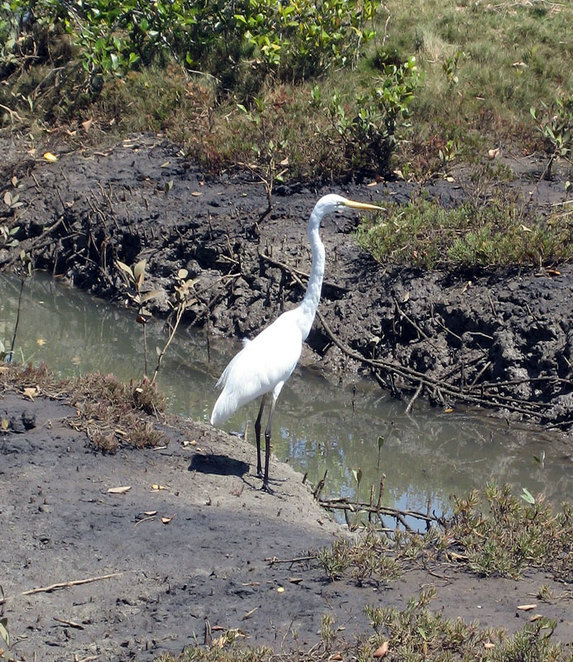 September is often the best month to spot wading birds. Many will stop at the Brisbane wetlands on their way further south. Remember, these birds have flown down from places in Russia, Northern China and Alaska, so they are pretty tired and it is not a good idea to disturb them. The best time to visit the university is during jacaranda season. 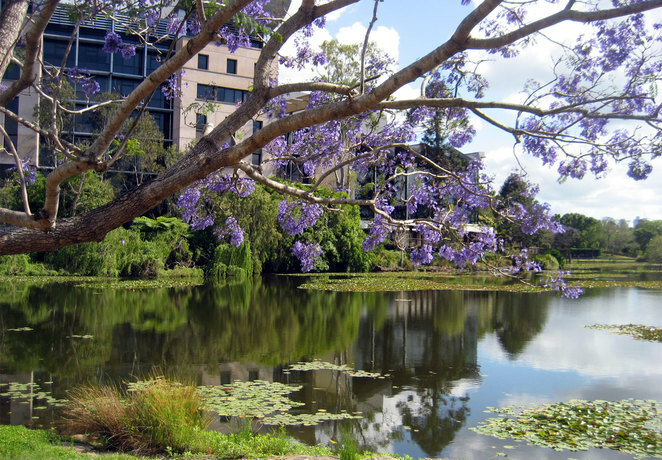 While students often hate it when the trees bloom because it reminds them of upcoming exams, the rest of us can enjoy a stroll in Brisbane's best jacaranda location. There is more to the campus than just the lakes. Enjoy the various sporting facilities, including the tennis courts and swimming pool. There are also a number of sports fields. It is also a great place to enjoy a cup of coffee. With a large number of fantastic cafes scattered around the campus. Saint Lucy's next to the tennis courts is the best one that I have tried. But there is also an okay cafe in the square inside the main sandstone buildings. Not a great coffee shop, but a lovely location. D'Aguilar national park starts in Brisbane City itself and extends north. There is also there is also the noncontinuous Mt Mee section further afield. The section that we are interested in is what used to be Brisbane Forest Park, but has now become part of the National Park. 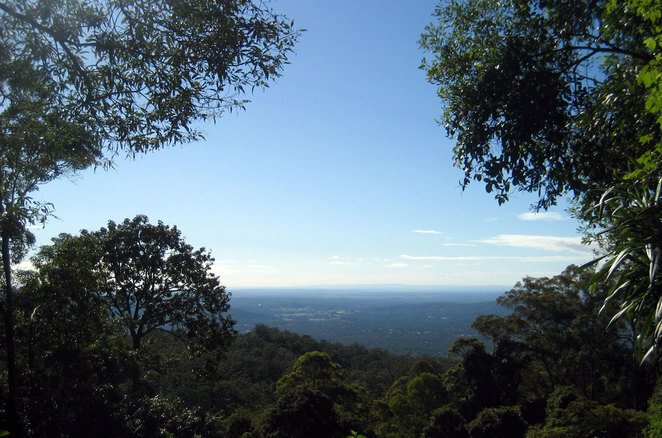 It also nominally includes the three SEQWater reserves around Lake Manchester, Gold Creek Dam and Enoggera Dam. 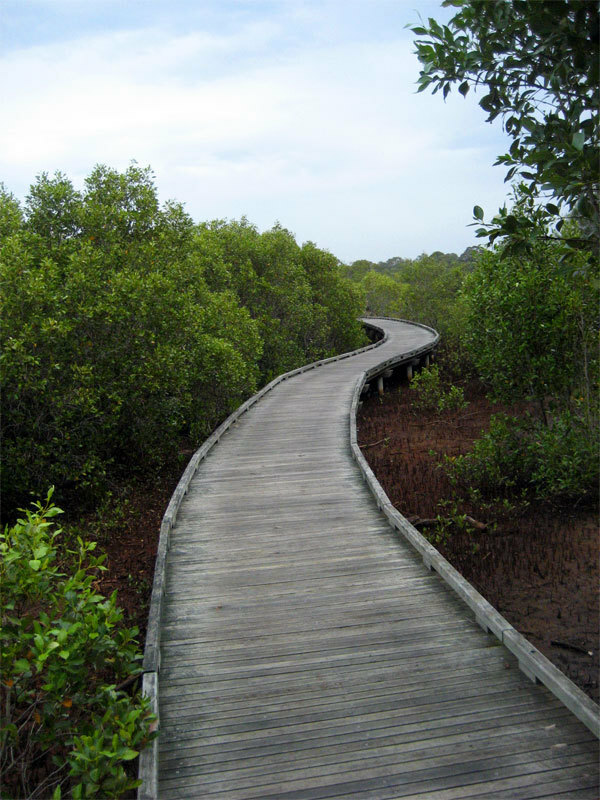 Unlike more established national parks, this area has few properly signed hiking paths, but many bush and fire trails. 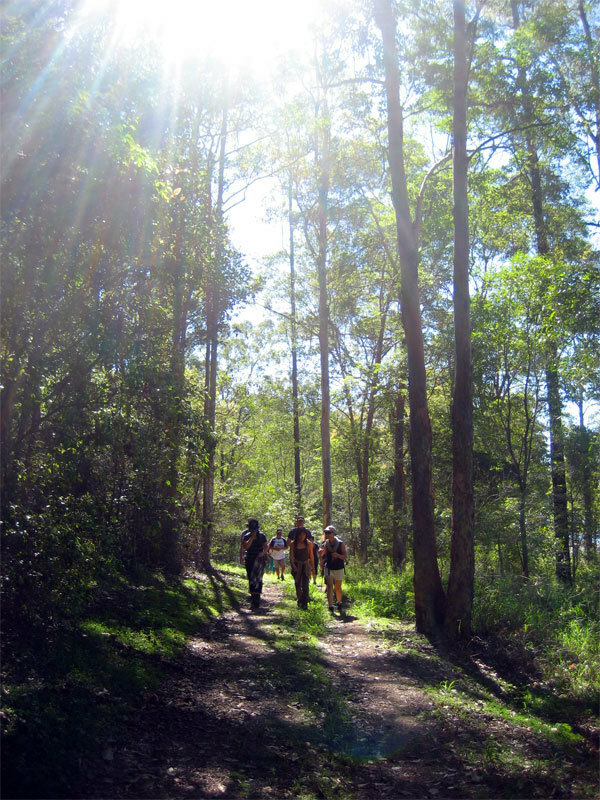 It is possible to go on a several day hike in this area without actually leaving the confines of the Brisbane City Council Municipality. Certainly a unique opportunity for Brisbanites. This is truly wild hiking as it is possible to go on a short hike, take the wrong path and end up lost for days. This is an area that you should take maps with you. Often downloading Google Maps is enough, though you can also download free topographic maps from QTopo. 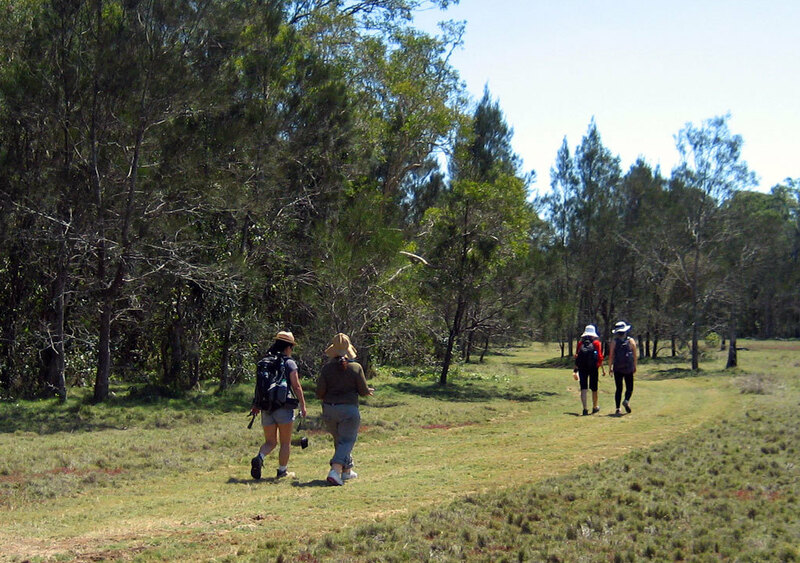 However there are also lots of little well signed walks, especially in Mt Nebo and Mt Glorious. 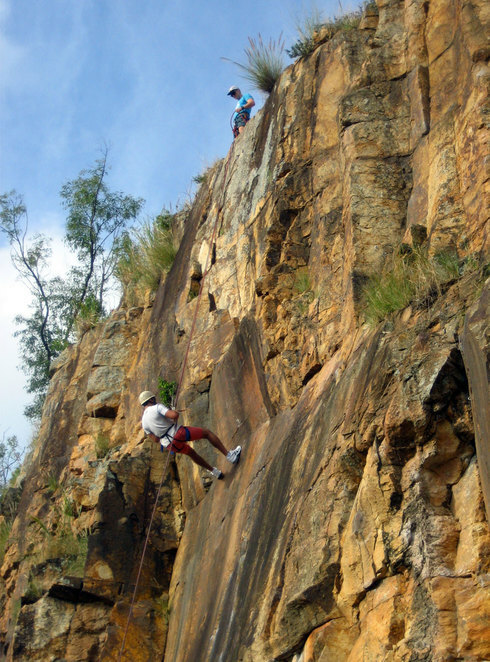 But adventurous hikers will want to explore the many other trails as well. This looks cool! I love the outdoors.